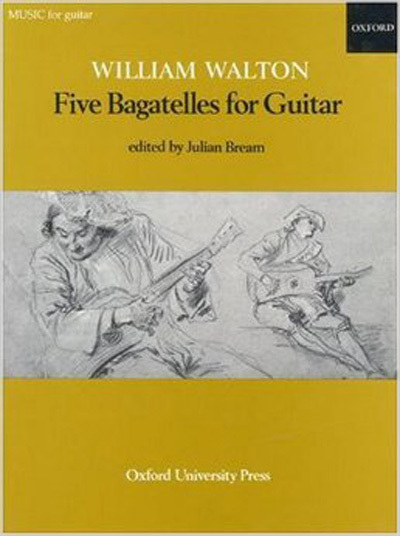 Five Bagatelles were written for Julian Bream and dedicated to Malcolm Arnold 'with admiration and affection for his 50th birthday'. They were given their first performance in Bath on 27th May 1972. I recently ordered a few pieces of music from Strings by Mail and I couldn’t be happier! They arrived fast and went out of their way to make sure I was happy. I’ll definitely be ordering from them more in the future. Book arrived like fresh out the factory. This piece is amazing, I would recommend it to anyone looking for a challenging piece. Lovely glossy car stock cover, sharp, high contrast printing on good quality white paper pages. Good purchase.